As it turns out, this feeling is so commonly described and reported that it has a name: the Overview Effect. As described in Jeremy Bailenson’s “Experience On Demand” (a wonderful book on the power of VR that I endorse as frequently as I’m given the opportunity), the Overview Effect technically refers to a very specific experience frequently reported by astronauts returning to Earth from space and having seen a perspective of the planet in which it appears almost inconsequentially small, yet more beautifully vibrant than ever amidst the endless, black void of space. Just like our more common experiences of the vastness of an ocean or mountain range, though, the Overview Effect seems to tap into some natural human tendency to the realization of not only our own physical insignificance, but also the insignificance of our daily problems and fears when compared to the enormity of existence. Given the seemingly ubiquitous nature of this phenomenon, it begs the question: what if it were possible to tap into this natural predisposition to self-reflection and calm using VR? 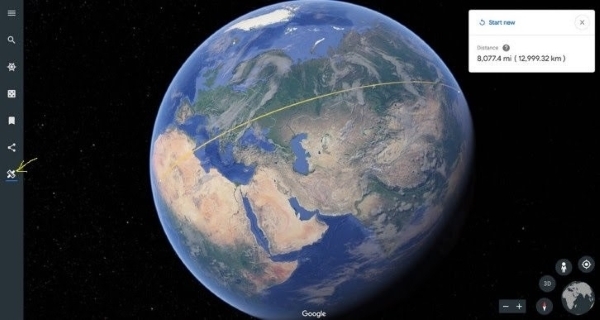 Re-enter our old friend, Google Earth.